You walk into your favorite restaurant and ordered your choice meal for the day. You whip out your smartphone or tablet and showed the cashier a coupon or an email you received from Facebook a while back (or you could have a printout brought along with you) of a free dessert offer that goes with every meal ordered. After a while, you receive your order, your free dessert, and all you need to do is just sit back, relax, and enjoy your food and everything else. Would you like this same feeling, ease and convenience experienced by your customers? If your customers experience this kind of treatment every time, surely expect your sales to skyrocket and watch revenue flowing in. You can do this through a simple feature inherent in your business or brand’s Facebook page called Offers. Facebook offers are basically another form of advertising for your brand, product or services you can leverage on at Facebook. 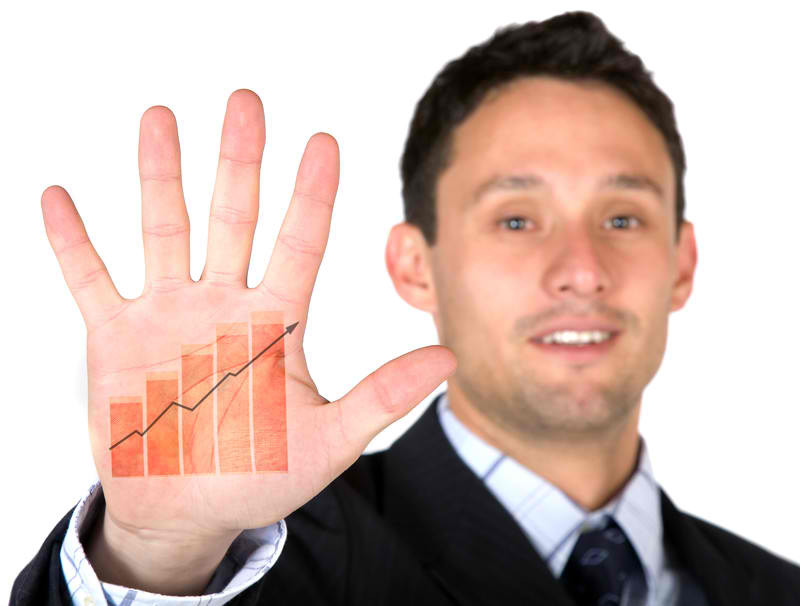 You can use this service whether you’re selling a product or just generating leads. In either case, your end goal is to get more sales and Facebook Offers is a very innovative and effective way for your business to do just that using this social network. Facebook created Offers back in February 11, 2013 after analyzing that users will interact more with newsfeed content than standard advertising. This provided an opportunity for businesses of all sizes to promote practically almost anything allowed within Facebook’s TOS including events, discounts, eBooks, coupons, tickets, and other content. There is no need to use a 3rd-party deals or offers app or website, and you can deliver these offers directly to your page fans’ newsfeeds as well as Facebook users that you can target. From this page, you can specify the Title, add an image, specify and expiration date, limit the number of allowed claims, specify your targeted audience, specify your budget, the website or landing page where your redemption link can be obtained, and your specified terms and conditions. More details about these will be discussed later. Once you’ve created your Offer and have it rolled out, the next step is for your Facebook fans to simply click on the “Get Offer” button to claim your offer. Facebook will then send them an email where details about how they can redeem the offer will be provided. If you have a real brick-and-mortar business, they can simply print out the email (or have it stored in their smartphones or tablets) and bring it to your store for redemption. If you have an online business, your fans will be sent a link to a website or landing page where they can redeem your offer. This can be a good channel for lead generation as you may require them to enter in a few important contact details before they can enter the redemption code for your offer. To create an effective Facebook Offer that will generate sales, you need to have a clear understanding of important parts of your offer. 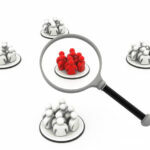 With this insight, you can fully optimize your offer and enable it to generate your targeted sales results. Pick any of these 4 ideas and put it on Facebook offers. Remember the better quality and rare your offers are the better conversions you are going to get. Now we’re ready to craft our offer! Start with a very interesting and very appropriate image that, with just one look, will make your targeted audiences understand what it is you’re offering them. Your image should be clear and not confusing. If you’re offering a product then an appropriate product picture should surmise. If you’re offering a service, try using an image that depicts this service in action. If you’re offering something free, then clearly state it so and your targeted audiences will surely jump at the opportunity. Aside from your image, your ad copy will be a significant factor that will determine the success of your offer. It must begin with a very strong Headline that already specifies a clear call to action that will get your targeted audiences clicking on the “Get Offer” button in no time. Your headline should be direct to the point and reveal’s your offer right then and there i.e “9,999 (roughly $235-$240) Custom Website”. After the headline, Facebook gives you even further options and allows you to insert 90 text characters to help you elaborate your offer. Make sure to insert the benefits and clear feature of your offer i.e. Get your fully custom biz website for 9k only! With free 1 year domain and web hosting. If you want your offer to run in just 1 week or 1 day then you have to put it in the date expiration which you can find on the step 2. The Terms and Conditions is another section that is important to optimize so there will not be any confusion whatsoever when your targeted audiences start claiming your offers. Specify the mechanics and other detailed information that goes with your offer and make sure that this is clearly understood by anyone. For digital marketers and online businesses, using a landing page in conjunction with Facebook offers is a best practice that you can follow if you want to get the most out of your campaign. Landing pages can be specified in the Create and Offer page as the website where you can direct people so they can redeem your offer. The redemption process could be through a special code where they can include together with their contact information when claiming your offer. 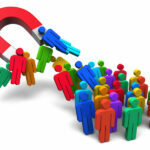 Landing pages are great for generating highly targeted leads that will eventually lead to further sales. The fact that users clicked on your offer means they are interested in what you can give them – giving you a great opportunity to upsell to a premium or paid product that you are marketing. But aside from creating Landing pages, you must also set a limit to the number of people who will be allowed to claim your offers as well as set an expiration date for your offer. These limits will create a sense of urgency among your targeted audiences, enticing them to claim your offer as early as possible – before it eventually runs out. You can also set a quantity on the amount of offers a particular person can claim. This will play on the principles of scarcity and urgency. With a large number of offers available for claiming, people will have the tendency to think that you’re just filling up demand. With a smaller number, a sense of scarcity and urgency is generated that will prompt your targeted audiences to take action. If you are offering a service, specifying these items is highly critical. You cannot just open your offers to as much people as possible, unless you have the facilities and the resources to provide service to them all. Limit your offers to a realistic number that you can meet, otherwise you will end up with a bunch or orders you won’t meet. When specifying your campaign budget, you need to consider your desired budget that you can afford for this campaign. In the last step of creating the offer, Facebook will ask you to put in the desired lifetime budget and some limited targeting options. You can put the lowest amount and arrange the targeting options on the boxes. But this is not the final run of your offer so don’t panic, just put some options and let Facebook publish your offer. Now that your offer is published the next thing we are doing to do is to promote the offer via Facebook offer claims. This is probably one of the most important parts because this where you will try to make your offers visible to only targeted people who might like what you have to offer. To do this go to https://www.facebook.com/ads/create/ and select “Offer Claims”. 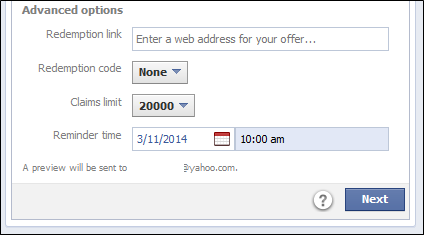 Select the appropriate page and the appropriate offer and proceed with the targeting options. The 2 most important advance targeting option that you should be focusing on if your offer is niche based and targets very specific people are “Interest” and “Categories”. 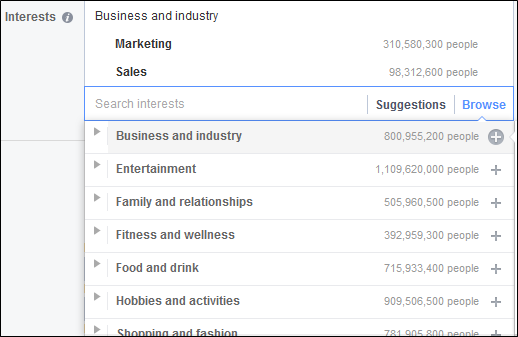 Type in as much keyword as possible on the “Interest” to get the most precise Interest of your prospects, to even help you in your targeting you can also browse for different Interest. 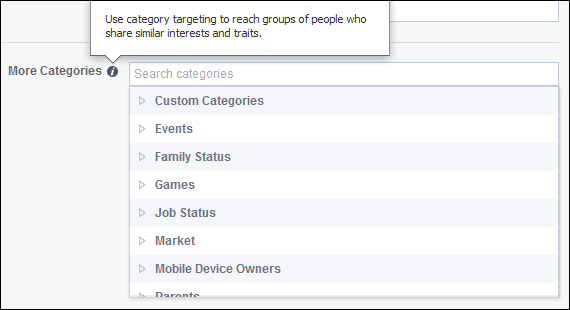 Categories targeting options are good for groups of people that are segmented by Facebook. 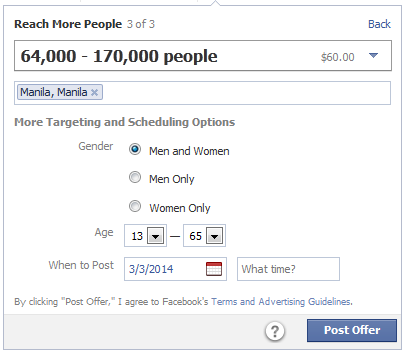 After you’ve created your Facebook Offer, the next step is to make some tests. This will ensure that your offers are working as they should from the viewpoint of higher CTR and offer claims, otherwise all your efforts will simply be wasted. From the time of this writing, the only possible way to do split testing is to target multiple Interest and categories as different ads. At least target 3-4 groups of different interest and categories and see which group are producing more offer claims and giving you high CTR. You need to do split testing in the precise Interest and categories so that you can know which of them are responding to your offers and which group do not. Aside from Interest and categories you can also split test like Location (Country, State, and City), Age, Relationship Status and the like. 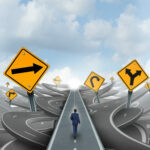 The goal here is to get the perfect blend of targeting options that will respond to your advertising offer. One of the best practices successful digital marketers do with Facebook Offers is to effectively track their conversions. This can be done by integrating promotional codes or bar codes that will enable them to track redemptions. These are features Facebook is allowing use together with your offers. You can take advantage of these features so you can get a good insight of how many users clicked on your offers and how many actually went their way and redeemed your offers. Whatever method you use, the most important point here is that you are trying to track your conversions, this is what most people fail to do when launching direct marketing campaign like this. So avoid that mistake and always track your conversions and see the clear picture of what really is happening in your marketing campaign. To generate more sales from your social media marketing campaigns, you need to make use of innovative and yet effective strategies that can generate favorable results. 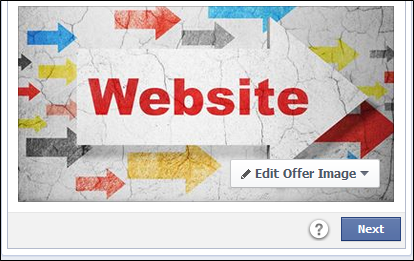 Facebook has made it easy for you to leverage of the newsfeed of your business page fans using Facebook Offers. 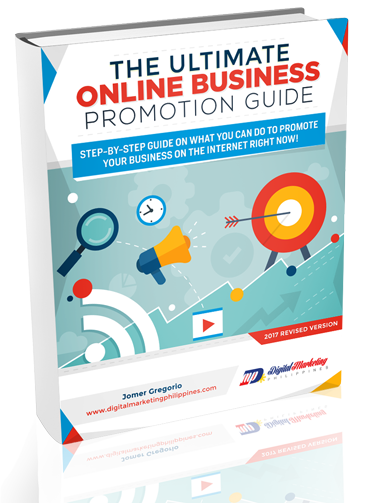 This is an effective way to generate greater brand awareness, reach more targeted audiences – and eventually generate sales and create profit. 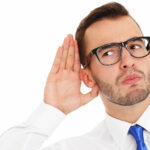 Social Listening – Its Importance and How it Works?